Emperor of the Sea – slot with free spins! Emperor of the Sea is a new Asian-themed exciting slot that has 5×4 reels, selectable payline options and other exciting features. Play with a minimum of 0.88 coins for potential wins of up to 1,650,000 coins! 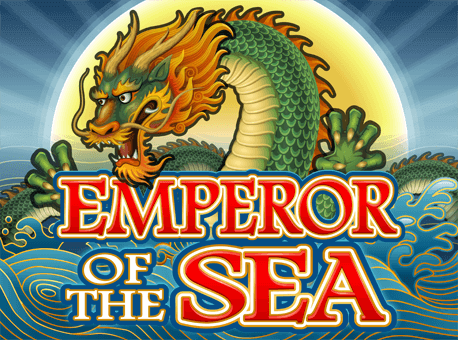 Emperor of the Sea brings you a burst of colour and impressive Asian-themed symbols with cartoon-style. You can expect an exhilarating journey through the sea with a splash of wild colours and soothing Asian-themed music. Emperor of the Sea features 38, 68 and 88 lucky paylines and they all win from left to right, except for the scatter symbol that pays in any position. All your winnings will be multiplied by the bet per line except for the scatter symbol and only the highest win is paid per line. When you land 3 or more scatter symbols, you will earn yourself 8 Free Spins which feature the popular features, Rolling Reels™ and Growing Wilds™. When you land the Rolling Reels™, you will be awarded with multiple consecutive wins, and when you land Growing Wilds™, it will cause Wild stacks to increase by 1 Wild per spin, all the way to a maximum of 15 Wilds. The wins in the Free Spins feature will be the same as the bet that triggered the feature. The exciting and loved Wild symbol will substitute any symbol except the Scatter symbol and the Scatter symbol will pay in any position, the wins will multiply by the total bet staked and the wins will add to Payline wins. The game also features card symbols (A, K, Q, J, 9 and 10) as well as ships, koi carp, tortoises, coin pots and the Dragon Emperor. Play at any of the Microgaming’s Casinos and experience life of Emperor in the deep blue sea. You could be sailing away to your big winnings. Here is the list of best online casinos to play and win money – click here.